The complex takes up most of the block bordered by 7th Ave, 2nd St NW, 8th Avenue and 3rd St NW. Phases I and II were built in 1971. Phase III was built in 1981 and Phase IV,was built in 2009. 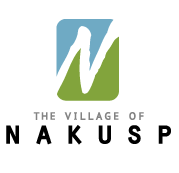 Nakusp commercial district is a few blocks away where you will find all the services you need. Grocery stores, retail outlets, a library, post office, banking, the Legion Hall, a movie theatre, a recreational complex and a number of different restaurants. There are also doctor and dental offices, a pharmacy and the Arrow Lakes Hospital. 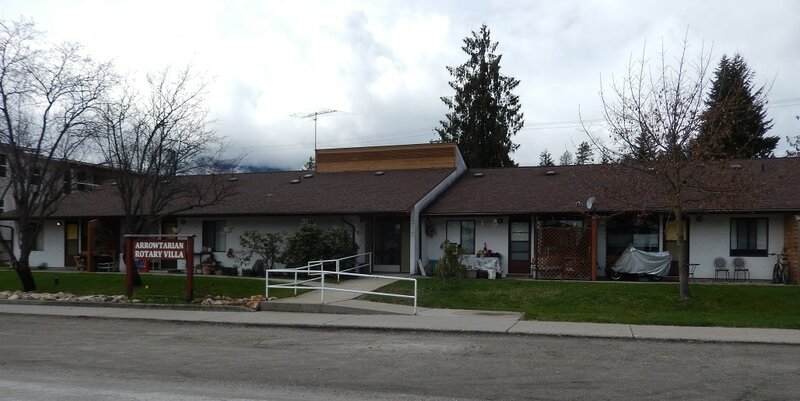 Across the street is the Senior's Centre operated by the Senior Citizen' Association of BC, Branch 71 - an active organization that offers many programs and social events to seniors in the community. Our Phase I - III apartments are designed for 55 Plus independent living, low income seniors. Phase IV welcomes moderate income seniors. All applicants are means tested to establish eligibility. A small pet is permitted. No aquariums. Parking is available at all sites. on waiting lists and current rents. ​Average size is 442 sq ft.including an outside entry. Built in 1971 and 1977. 10 one bedroom suites with a central hallway giving inside access to a shared laundry and common room & private outside access to each unit. ​11 one bedroom and 3 two bedroom suites with kitchen, living room, accessible shower. Two bedroom units have private laundry. Three storey secure apartment building with elevator. All apartments have balconies or decks. Inclusions: Shared laundry, exercise room, common craft room, commercial kitchen, parking. Utilities are included. ​Contact the office for more details.
" Empathy is the starting point for creating a community and taking action. It's the impetus for creating change. Arrow & Slocan Lakes Community Services a provincial non-profit society formed to deliver homemaker services to the Nakusp area, and since then has grown to become a multi-program agency encompassing Arrow, Slocan and Trout Lakes region from Edgewood to Nakusp to Silverton. Regional Transit. Provides in and out of town transportation for the general population with service hours of Monday to Friday 8:am to 5:pm. Wheelchair lift equipped. Halycon House. For those who wish to live as independently as possible in a housing environment, who require personal and supportive services, and have the ability and desire to self-direct their care. Provincial eligibility criteria will apply.